MANILA, Philippines — Fires hit a hotel and the parking lot of the Quezon City Central Post Office yesterday. The first blaze hit the Icon Hotel along Timog Avenue at around 2:46 a.m. The fire, which lasted nearly six hours, started at the electrical room on the hotel’s sixth floor and quickly spread. Hotel guests were immediately evacuated. No fatalities or injuries were recorded. Fire officials said the blaze caused an estimated P3.5 million in damages when it reached the seventh and topmost floor before it was put out by around 8:16 a.m. Meanwhile, another fire razed five houses along NIA Road and reached the parking lot of the post office, where 11 private and government vehicles were destroyed in the fire. One person, identified as Nelia Rivera, was injured in the fire. She sprained her right foot after jumping from her house to escape the blaze. 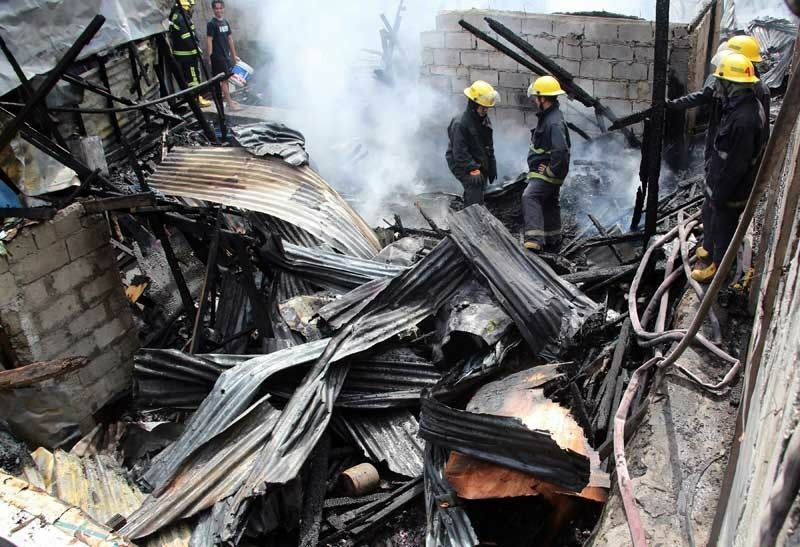 Responders said the fire destroyed P50,000 worth of property. A woman died and two others were injured in a fire that broke out at a condominium in Binondo, Manila yesterday morning. Karen Tan Caparas, 29, and her dog died from suffocation. The victim hid in the bathroom of her unit after the fire started at the ninth floor of the Diamond Tower on Masangkay street just before 10 a.m., according to Fire Senior Inspector Lucio Albarasing, Manila-Bureau of Fire Protection arson chief. Caparas’ husband, Wilmer, and his sister Erica were injured but managed to get out of the building.